What do you crave to make you happy? …every day is filled with things we want and crave. Things that will make us feel good at least for a moment. But what happens when that moment is gone and the need returns? There’s nothing wrong with wanting certain things, but God didn’t create us to rely on those things to make us happy. He created us to crave Him, and a happiness that lasts. In this teen adaptation of the bestselling Made to Crave, the deep emotional, physical, and material cravings you face are explored—desires that can turn into spending too much, over- or under-eating, needing a boyfriend, or more. Through real-life stories and support from people who have been where you are, you will also discover how to truly crave God and the love and comfort He wants us to have, and how craving heavenly things can make the earthly cravings easier to overcome. You were made to crave more than this world has to offer. 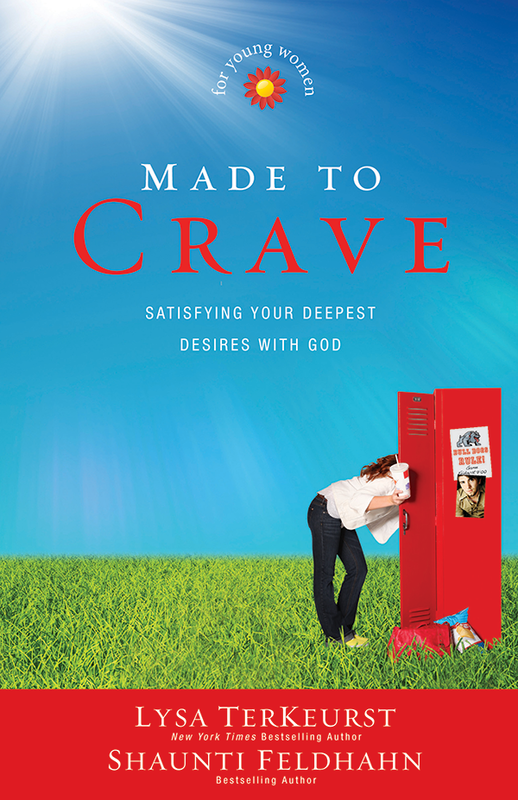 Visit the Made To Crave – Young Women website for freebies, videos and more. View more books written by the author "Lysa TerKeurst".